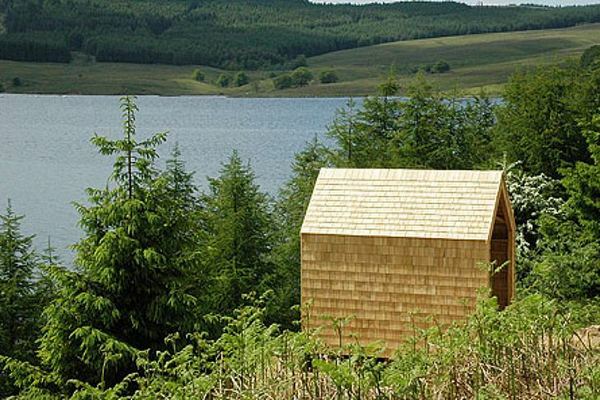 I’m not sure what’s more charming – these wooden cabins or the tale behind them. There was once a woman named Freya and a man named Robin, who lived on opposite sides of a lake. Freya loved collecting flowers and decorating everything around her with the beautiful blooms. Robin lived in the woodland and loved climbing trees and caring for the forest’s creatures. Freya could see Robin across the water. She could see he was kind and careful with the trees and the animals and that he loved them as much as she loved the flowers. Freya decided to build Robin a beautiful cabin as a way to entice him across the shores to come and meet her – for the walls, she arranged the strongest branches from thick to thin and for the roof she made an enchanted forest ceiling. Would Freya’s plan work or would the cabins be forever facing each other, forlornly, across the water? Find out what happens to Freya and Robin here. 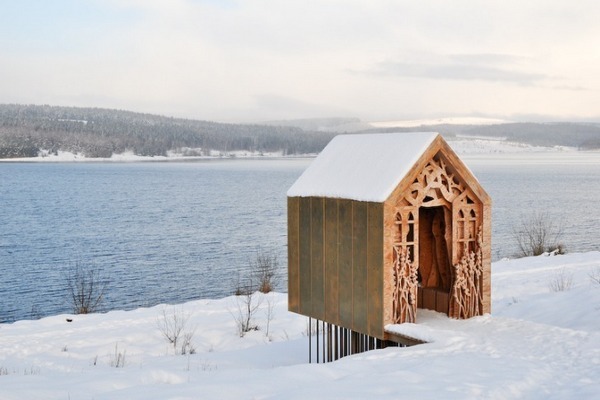 Inspired by the charming story of Freya and Robin, Studio Weave designed two wooden cabins to be placed on opposite banks of Kielder Water, Northumberland in north-east England. 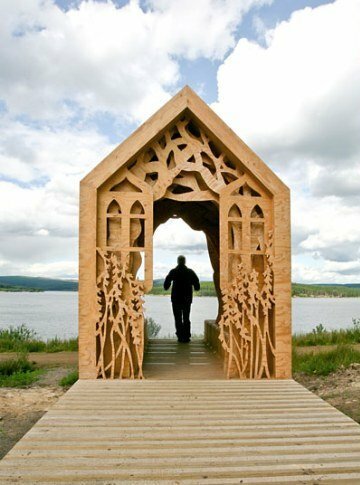 As well as a means for sharing the story, the cabins provide a stopping place and shelter for visitors walking or cycling along the lakeside path. As both Freya and Robin were nature lovers, the lakeside shelters are constructed of wood and designed to instill the same love of nature in visitors. 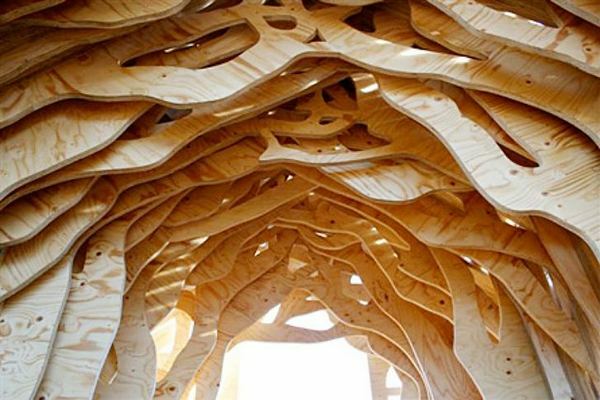 Robin’s shelter is a simple shingled structure while Freya’s is elaborate, with layers of plywood sheets overlapped in the shape of tree silhouettes. 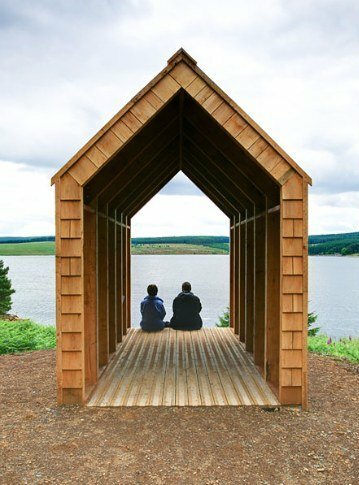 If you’re planning on visiting the north of England, you can find out more about Kielder Water here.